Emre? Brigette? Jet Pack Cat? Over the past few days, the Overwatch Twitter has been sending out some very mysterious but interesting hints as to who or what the next playable character for the game could be. With a 26 strong roster of all sorts of heroes, there is a lot of speculation flying around about Overwatch's 27th. Last Friday was the first of the mystery tweets, which consisted of a mission report from Captain Ana Amari on a mission titled "White Dome". The details explained how Ana, Reinhardt, Torbjorn, and Emre were all ambushed by omnics, and some of the team sustained injuries. The most surprising thing about this report was the mention of Emre Sarioglu, a name that has never been mentioned in the game before; could this be the new hero's name? This tweet was followed up by a tweet on Saturday containing a lore update for Torbjorn; it was a letter from him to his wife just after the White Dome mission had taken place. This letter details that Reinhardt had saved his life, and therefore Torbjorn would allow him to name his newborn daughter. There is a lot of speculation that this could be Brigette from Reinhardt's short back story we have seen previously. Could the new hero be Brigette? Lastly, there was another tweet yesterday showing some sort of weapon. 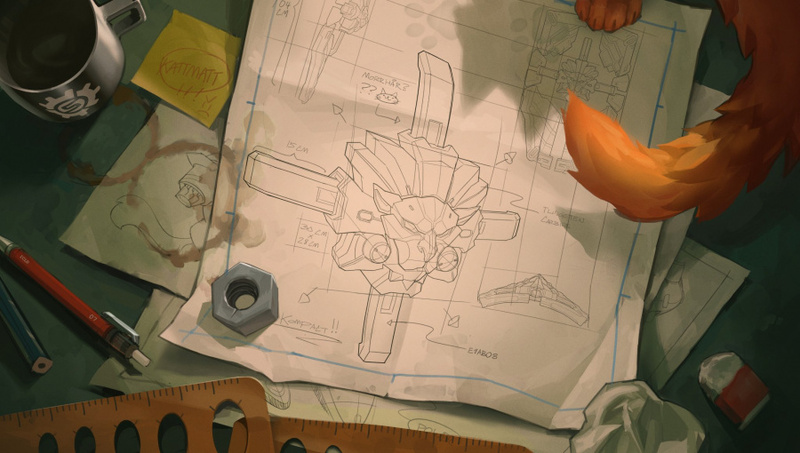 This could quite easily be a weapon design for Brigette, and all of the scrawlings are in Swedish, tying in with her being Torbjorn's daughter. However, if you look closely in the bottom right of the picture, there is a cat's paw and a toy mouse. Previously, Overwatch lead designer Jeff Kaplan has mentioned that they had a hero that was a jet pack cat owned by none other than Torbjorn, but they thought it was too wild and wacky to be included in the game. However, fans of the game argued that a talking gorilla named Winston was already pretty far out; could we see a return of the jet pack cat? 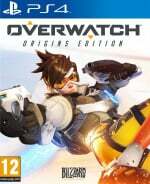 So who do you think is most likely to be hero 27 in Overwatch? Have we mentioned the new hero here, or have you got a better idea of what's coming next? Let us know by purring in the comments below. Update (18:15 BST): Another tweet has just been posted, showing what looks to be a design for a shield which uses the same centrepiece as Reinhardt’s. Also shown in the picture is the tail of an orange cat; interesting! Well, they did say the hero would be meta changing. Nothing more meta changing than a jet pack cat! Brigitte is most likely. I'm excited, she's awesome! Cool though I do wish they sort out the matchmaking cos it takes way too long to get into matches. The idea of a jetpack cat hero is being talked about for a very long time! But to be honest Pharah already has one so that's not so meta changing!